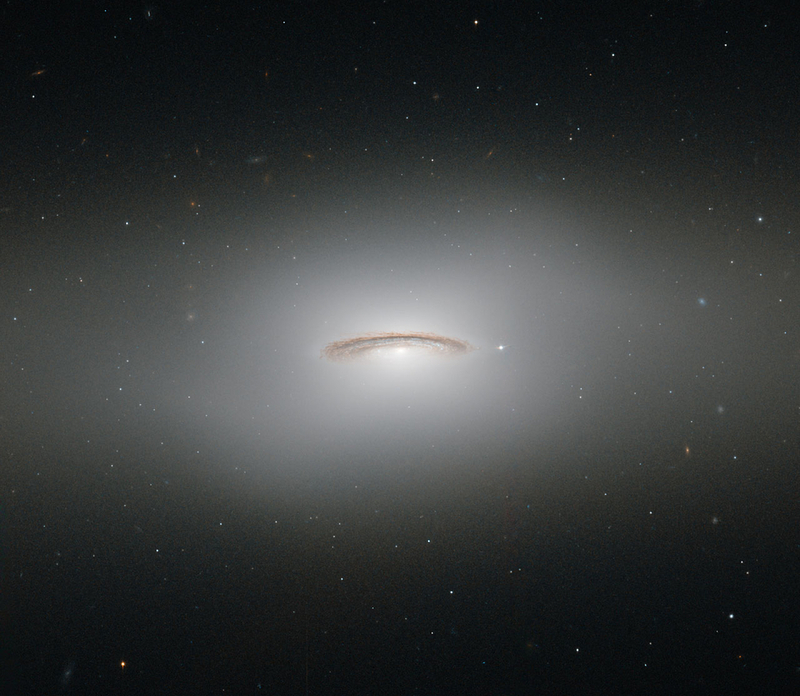 In this photo, taken by the Hubble Space Telescope, the NGC 4526 galaxy seems to hover serenely in space, a halo radiating an ethereal light. But at its center there is a rapidly spinning disk of gas moving at more than 155 miles per second. The galaxy is one of 2,000 that make up the Virgo cluster of galaxies, about 65 million light years away from Earth. NASA and ESA scientists know that behind its angelic appearance there is a turbulent past. NGC 4526 has hosted two supernova explosions in the past 45 years and has a supermassive black hole at its center that has the mass of 450 million suns. This image was taken with Hubble's Wide Field and Planetary Camera 2 and the Advanced Camera for Surveys.